She was awarded the “Diversity Insights award 2015” by the National Diversity Council and the “Leadership Excellence award 2014” by hr.com. She consulted for a Netflix documentary about “Racism” in 2016. She appeared multiple times on nationally syndicated radio like 1100 AM KFNX news radio. She gave speeches at University of Phoenix, USC, UCLA, Cal State Long Beach, Cal State Dominguez Hills, Cal State San Bernardino, SBA (Small Business Administration), and the Woodbury University, she also spoke at many conferences locally, in Canada and overseas. She has been featured as an SME (Subject Matter Expert) numerous times in many National magazines’ articles as: Diversity Executive, and Diversity Bar. She is a Business Advisor at PCR-SBDC a subsidiary of the “Small Business Administration”. She termed as a Board Member for NAAAHR, and as a Board Member for Los Angeles Diversity Council. Currently a board member of Leadership Circle of change. Her book “49 things about Entrepreneurship” is published on Amazon. Her current clients’ list include government agencies, public utilities, nonprofits, healthcare and educational organizations. 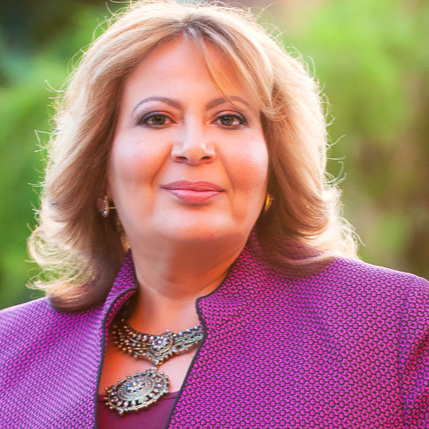 Sahar is the founder of “Sahar Consulting, LLC” and “Reinvent Yourself to Greatness.